Is Curly Hair More Expensive? On my usual trolls through the website jungle that is the beauty dedicated side of the Internet, I often come across hair claims and exclamations that rattle my belief that humans are beings of higher intelligence. So, I must say, it is not a rare day to find a story that makes me gasp, or worse, ensues anger. After all, you all remember the talking vaginas and Channel 4 News stories! What is a bit different, however, is finding a story claiming the impossible, the unheard of, the story that, dare I say it, makes me think. Today, Essence magazine published that story. In an article titled Is Your Natural Hair Costing You a Fortune, Demetria Lucas claims that taking care of naturally curly hair is just as, if not more, expensive than taking care of treated hair. Now, while this story was a bit shocking, I was interested to see what the author’s conclusion would be. Sadly, I started to write this article as soon as I read the ending. She said, “yes." Natural hair is so relaxed! Supply & Demand The author claimed that taking care of curly hair is more expensive now than it used to be, she believes, because of the fact that a larger portion of women are choosing to be natural. This has my mind racing back to high school economics, remembering supply and demand, and noticing that, perhaps because of the increase in women wanting to take care of their natural hair, the supply may not have caught up. Okay, I can get on board with this claim. Tough Economy The author notes that even in this tough economy, salons specializing in curly hair have been thriving. In Washington D.C. alone, Lucas states that the number of natural hair salons has increased by 18% That makes total sense. Hair is not an accessory. It is not something I can buy when I have extra money, or sell to get a few needed bucks. My hair is like my health, and often a representation of it. Taking care of it is as essential, yet more fun, than going to the dentist. But, to her point, even dentists offices are shutting down in this sub par economic turmoil. Perhaps an 18% increase is a bit much. Reasonable points aside, I know for a fact that taking care of my natural hair is not only good for me, but for my purse too. Less trips to the salon. Most of us have been there, shelling out upwards of $200 a month for straightening treatments that damage our scalp and hair. When you go natural, that $200 is back in your pocket, to use for whatever you want – for me, shoes. Furthermore, when you go natural, due to less heat styling, your hair tends to have less split ends, meaning it needs fewer trims. There’s another $20 back in your wallet. Make your own products. Yep, that’s right, chemically treated straighties cannot do this – without risking messing with the treatment, or having an abundant amount of frizz. Being natural means that we can make our own homemade hair treatments from whatever we desire — usually the leftovers of whatever veggie or herb didn’t get used in last night’s dinner recipe. Less produce thrown away equals more produce put to good use, and less money wasted. You can do your own hair, and well! OK, so, I did my own hair when I had chemically straightened locks as well, but only to a certain extent. I couldn’t straighten my hair any more than the chemicals or my flat iron already had, nor could I ever replicate the style with which I left the salon. I was at a total loss about transitioning to natural hair. So to fit the status quo, I bought miracle product after miracle product and flat iron after flat iron. Now, with curly hair again, I use rose oil, leave-in conditioner and no shampoo. My hair looks great, though not the same, almost every day. No need to use energy to dry my locks — they air dry! 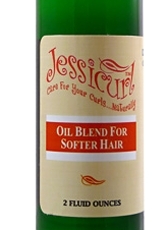 No need to buy tons of product to tame down breakage and frizz either. I just use healthy hair habits. It is simple and natural on this side of the fence — and cost effective, too! More than save you money! Having curly hair can not only put some doe in your savings, but can boost your confidence too! Try our curly hair confidence challenge, today! Overall, a curly's main money saver is her bathroom, where she can turn the room in to a salon and trim her own hair, do her own hairstyles and make her own products. The three main reasons you need to spend money on your hair are totally eliminated by having natural hair. With how great it is for you, how awesome it looks and how much it saves your wallet – no one has any excuse not to do it. Ladies, dig in! Let us know what other curly hair routines save you money – and even what you buy with that extra cash!